Check out this stylish digital watch from the house of Fastrack. It is available at an impressive discount of 20%. 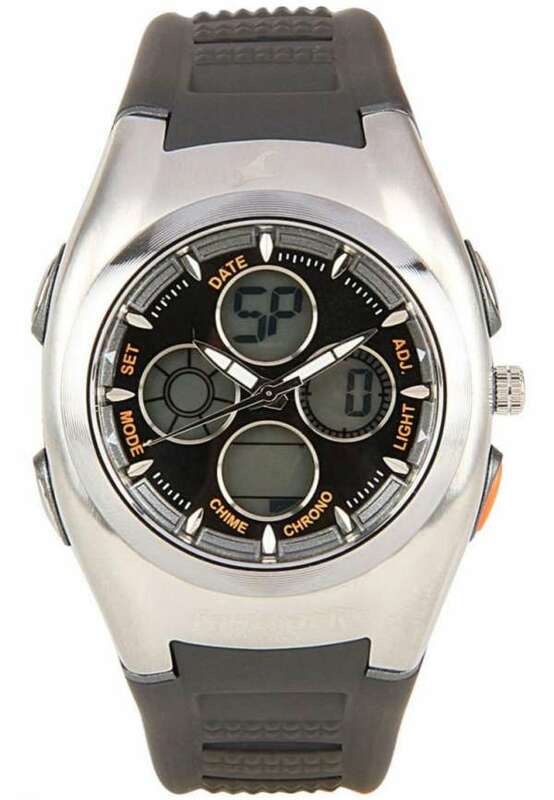 This Fastrack digital watch comes with multiple features. The gray strap complements the big steel dial perfectly. This casual watch is water-resistant up to 50 meters. It comes with a warranty of one year. So, make the best value of your money by adding this watch to your collection right now. Purchase fastrack hip hop brown sunglasses at rs. 1895 only!